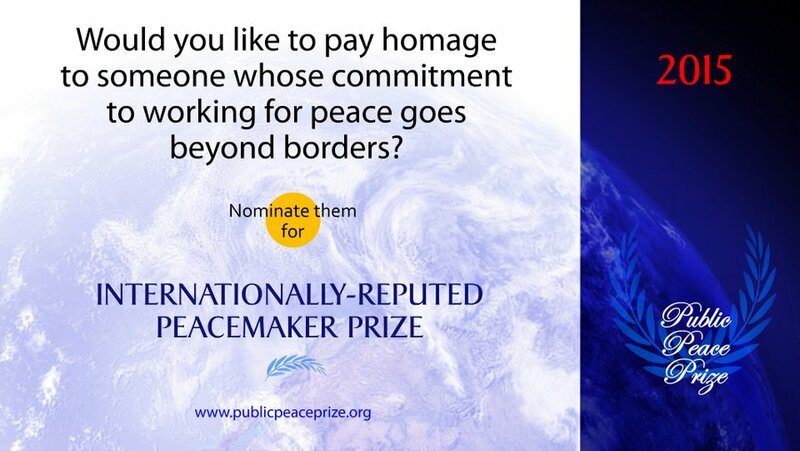 Start nominating new candidates for the 2015 Public Peace Prize now! All you need to do is send in the name of the peacemaker of your choice accompanied by a text (about 10 lines) that explains why you would like this person to receive the 2015 Public Peace Prize. 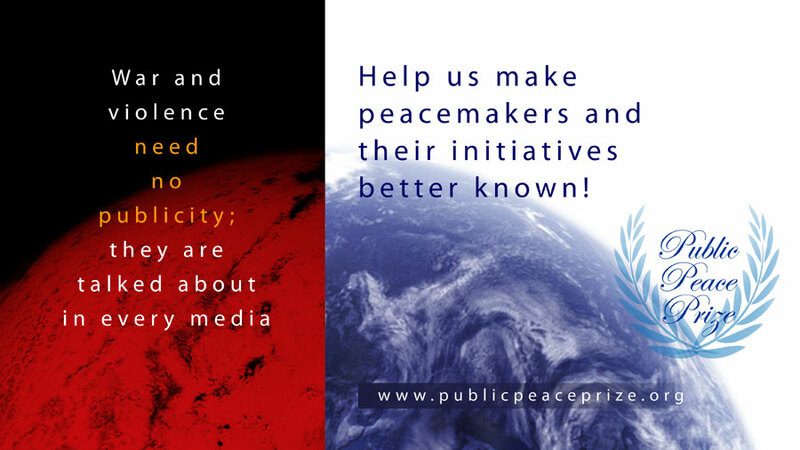 The Public Peace Prize is the only peace award based on the public’s choice, allowing everyone to make a difference by supporting someone who is working for peace, whether they are already well-known or completely unknown. A minimum of ten nominating texts are required for each peacemaker’s candidature to be validated, so get your peers involved in writing why your nominee should be recognized too! All nominations are expected to be sent before October 31, 2014, at midnight. Do you know someone who makes significant contributions to peace and reconciliation efforts in their community? 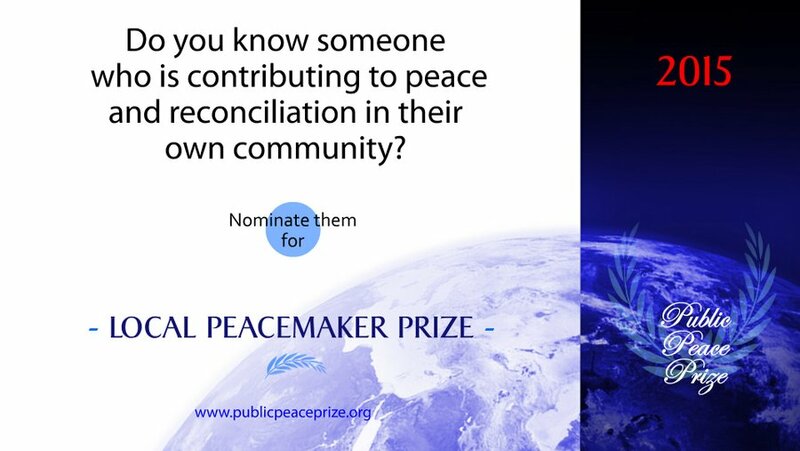 Nominate them for the Local Peacemaker prize. Giving a helping hand to someone whose peace work goes beyond local or national recognition but is not yet known internationally. 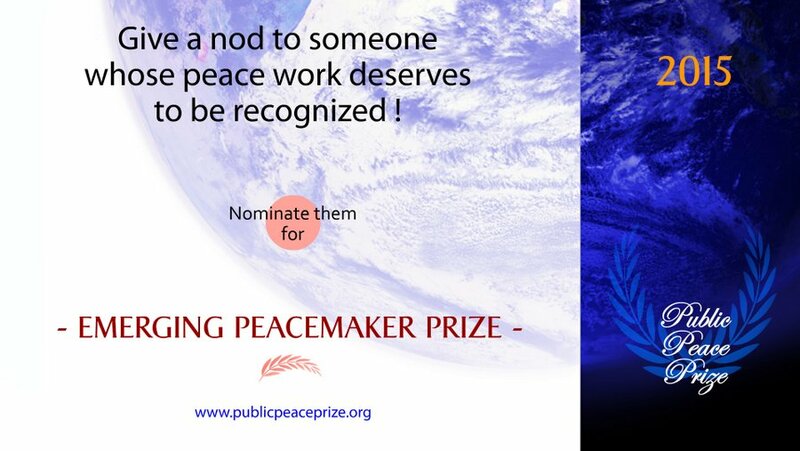 Nominate them for the Emerging Peacemaker prize. Do you know a woman who weaves peaceful connections all around her to help bring together different communities? 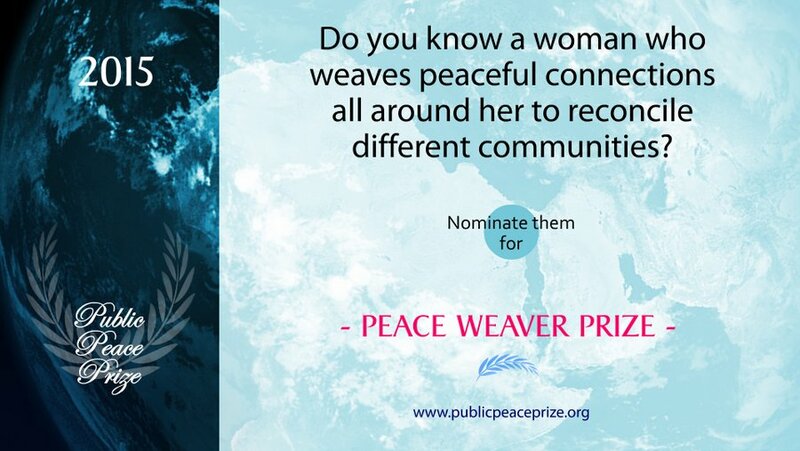 Nominate her for the Peaceweaver prize. Would you like to make better known a group of people who are working for peace in their region? 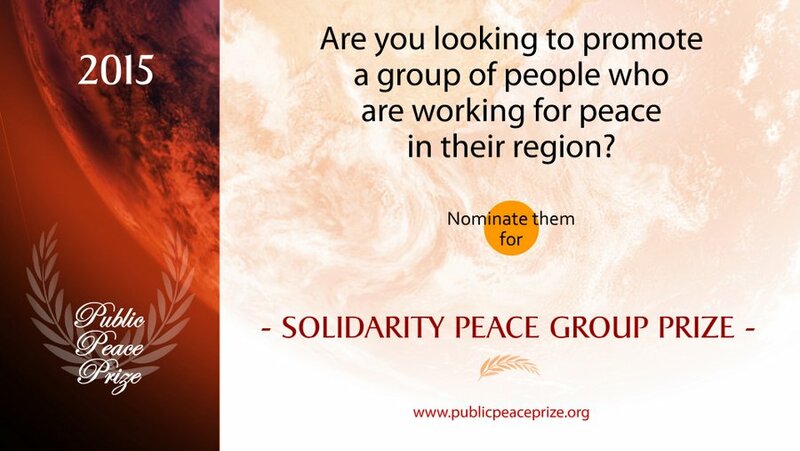 Nominate them for the Solidarity Peace Group prize. Would you like to underline the peace work accomplished by people who contribute to a better understanding between religions as well as bringing these communities closer together? 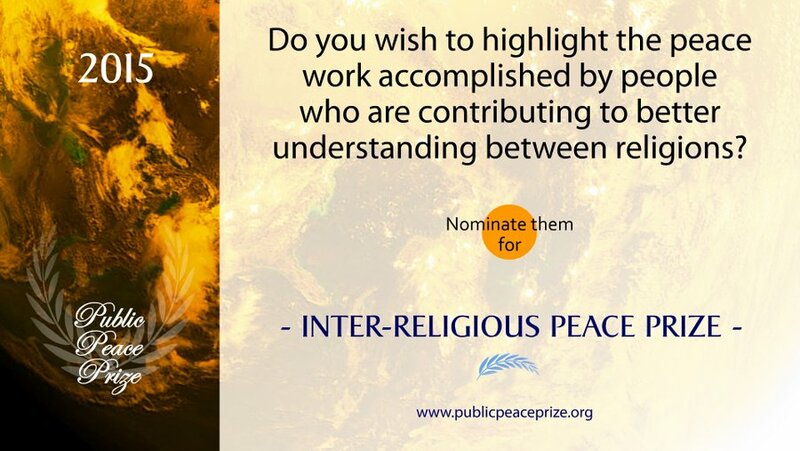 Nominate them for the Inter-religious Peace prize. Those who participated last year are also invited to propose once again the candidates of their choice! It is up to all of us to promote Peace!